Tatra Polish antique is a real antique glass made by a traditional manual method. Molten glass is gathered and blown into a cylindrical shape. The glass is allowed to cool and then the cylinder is cut along its length. The cut cylinder is then slowly heated until it flattens out into a sheet. Another heating process anneals the glass to make it workable. 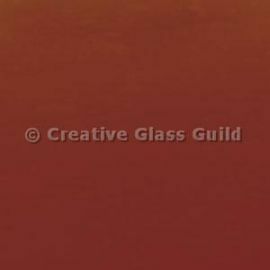 Imperfections in the blown glass lead to characteristics in each sheet. Seeds (small air bubbles) and striations (lines) make each sheet quite unique.